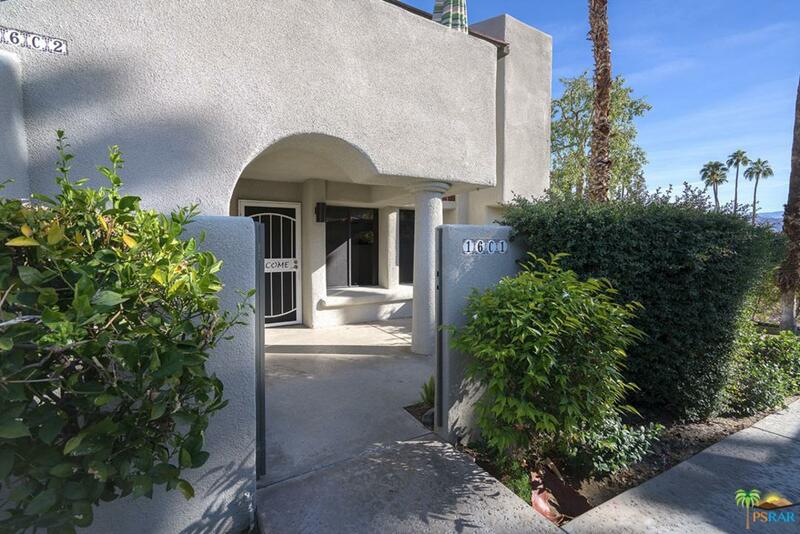 Looking for an affordable updated condo home minutes to the New Downtown Palm Springs with all its' shops, restaurants and entertainment? Look no further - as this Casa Verde home sparkles like the pools that surround it! The home is located on the ground floor, is a West Facing End unit and has 1 bedroom & 1 bath. The residence has a spacious living room with laminated wood floors, updated kitchen including washer & dryer, refreshed bath and large private patio with dramatic views of San Jacinto. The master bedroom is oversized with a walk in closet and also has a private patio. Casa Verde is located in a desirable gated community featuring heated pools, spas, 2 tennis courts and is surrounded by mature landscaping. There is an Executive putting green. Casa Verde is low density with lots of guest parking plus one reserved covered space for the home. Be a part of the renewed & exciting Palm Springs Downtown district!